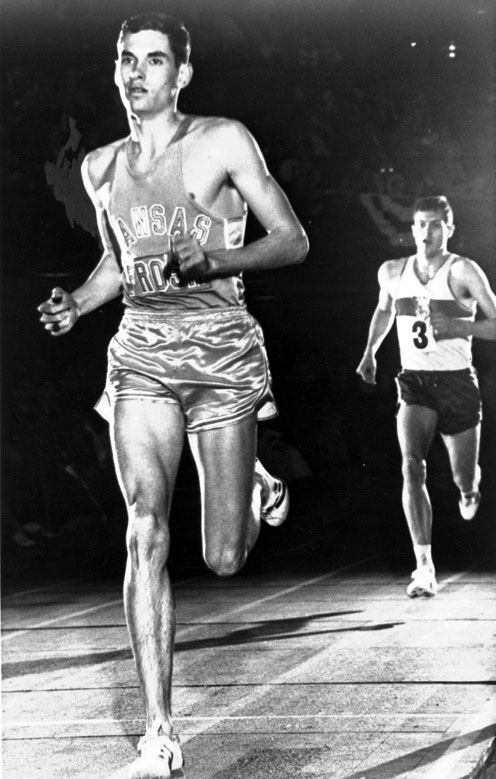 Today is the 63rd birthday of the legendary Jim Ryun, the first prep runner to break 4:00 for the mile. He set world records at 800 meters, 880 yards, 1500 meters and the mile. He set 8 American records and 4 world records between 1965 and 1967, ranging from 800 meters to 2 miles. 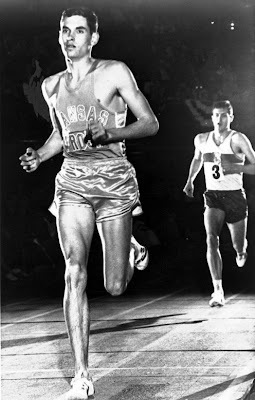 He won an olympic silver medal at 1500 in 1968 (losing to Kip Keino, father of Villanova's Kippy Keino). He was, of course, Marty Liquori's greatest rival in the late 1960s and early 1970s; the two waged some epic duels and the so-called Dream Mile of 1971 made the cover of Sports Ilustrated. He later served as a US Congressman from Kansas.